ZIMBABWE – The country’s top musicians have sunned the capital for the Christmas and Boxing Day holidays and decided to celebrate with their fans in other cities. Most of the entertainers said the move is meant to meet the demand of their music in all parts of the country. High flying entertainer Jah Prayzah will be performing in Gweru before heading to Marondera the following day. Suluman Chimbetu performs at TP Rukawo in Chegutu en route Chirundu and Karoi on Saturday and Sunday respectively. Another people’s favourite Alick Macheso is performing in Mutare while Peter Moyo ordains the folks of Chivi rural when he performs at the popular Growth Point. There is no billboards advertising a show even by man of the moment Winky D and the popular entertainment hubs in the capital are dry. Some of the managers who spoke to H-Metro said they have not planned it but are working on their timetables and it is just a coincidence. 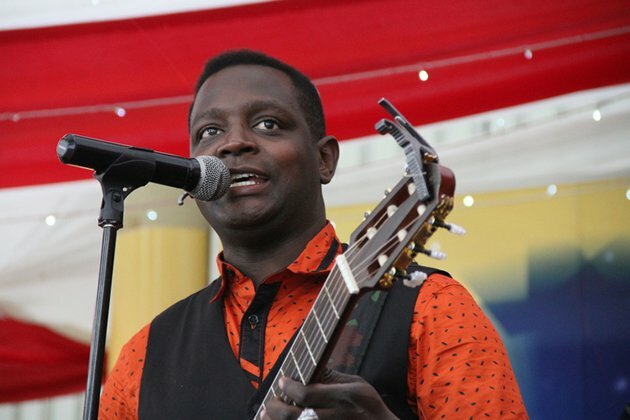 “We are not even aware of other artistes’ schedules but we have other fans out there and we decided to do something for them,” said Sulu’s publicist Joe Local Nyamungoma. “We are touring Mashonaland West this holiday and next year it will be another province. “The tour begins at TP Rukawo in Chegutu on the Christmas Day, Off Road Nite Club Chirundu on Saturday and Karoi, As You Like It on Sunday,” said Local. Jah Prayzah’s manager Keen Mushapaidze said they have embarked on countrywide tours a mong ago and they are just fulfilling the mission. “I think we have announced that in October and we cannot leave other parts of the country and it’s good to celebrate these special holidays with fans in other parts of the country,” said Mushapaidze. The show only expected to bring fireworks in the capital is the Killer T and Seh Calaz show at Jongwe Corner while clubs like Private Lounge, City Sports Bar, The Volt (formerly Book Café) and Radost Platinum in the Longcheng hosts special parties. Cynthia mare performs at Bar Rouge in the Longcheng Plaza on Boxing Day.